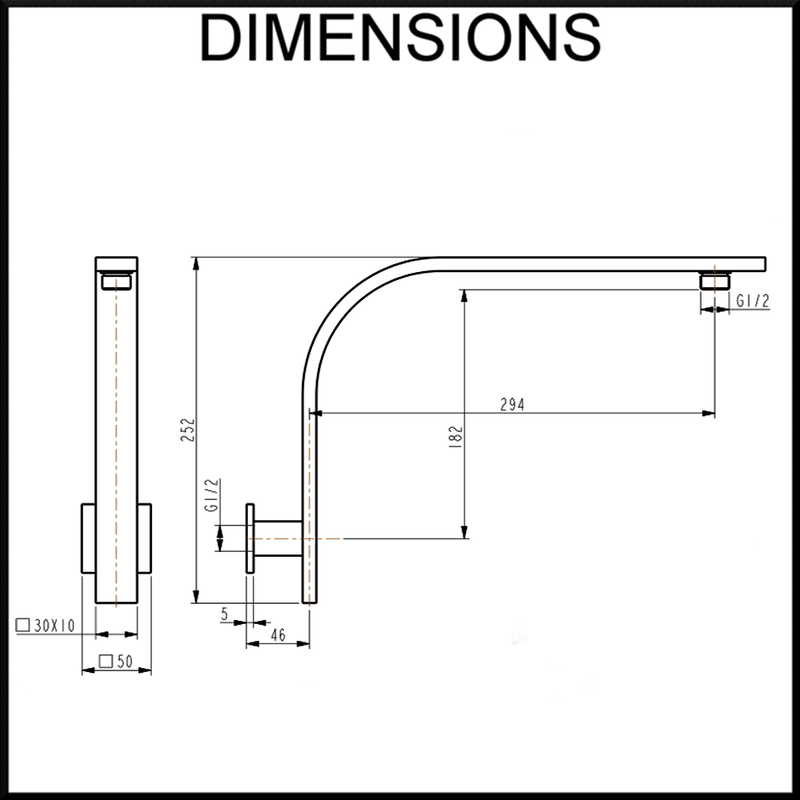 This wall mounted curved goose-neck shower arm is popular to maximise the height of your rain shower head. It is solid brass with a quality chrome finish. The modern curved geometric design pairs well with almost any modern or square tapware and towel rail designs. All connections are standard Australian / New Zealand sizes ensuring full compatibility with any existing arrangements. Match this shower arm with a rain shower head! This wall mounted round shower arm has a polished chrome finish and is designed with a 400mm raised arm to bring your rain head well out from the wall and raised as high as possible. It looks great with any kind of shower head, and really complements the Vale Harmonie Series and circular rain shower heads, but will match with any round style bathware. Thread: Standard throughout Australia - 1/2 inch female from the wall, 1/2 inch male to the shower head.